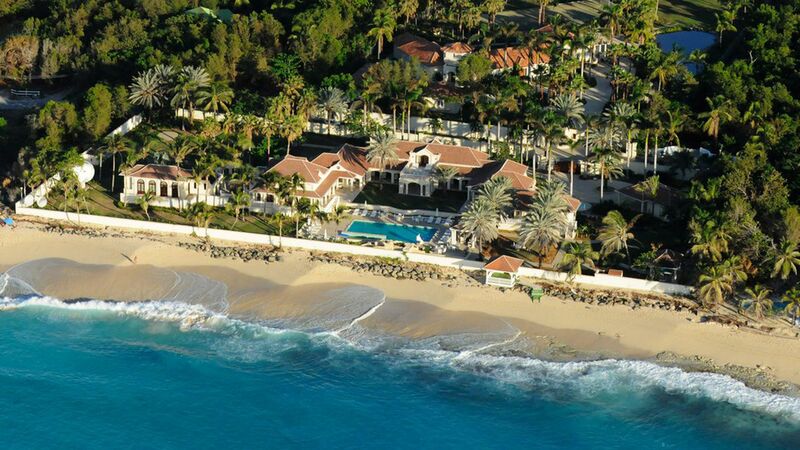 President Trump owns a multi-million dollar, beach-front mansion named le Château des Palmiers on the Caribbean island of St. Martin — and it's directly in the path of Category 5 Hurricane Irma, according to the Miami Herald. Trump is trying to sell the 11-bedroom mansion, which he owns via a trust to avoid conflicts of interest. The selling price dropped from from $28 million to $16.9 million last month. Remember, Trump also owns several other properties in Florida, including the "Winter White House" Mar-a-Lago, which could sustain damage from the hurricane.